Have you seen infographics before and wondered how you could make your own? Infographics are shown to be highly shareable and they’re cool to look at. 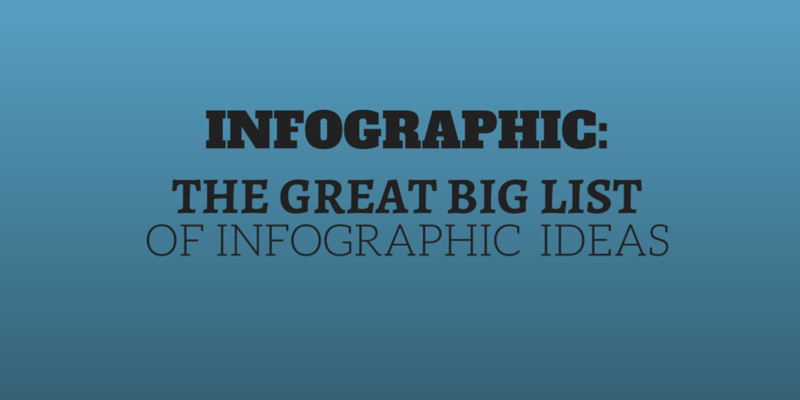 Here, in this great big list of infographic ideas from InfoBrandz.com, you can discover how to make them work for you! Glad that you like it Nich.